Looking for Welcome banners in bollywood theme party .Want to create Customized posters with family for Welcome banners in bollywood theme party !.Here is a solution, Bollywood posters studio with highly talented and experience oil school artist available will create hand painted bollywood poster ans banner for bollywood theme party decoration . 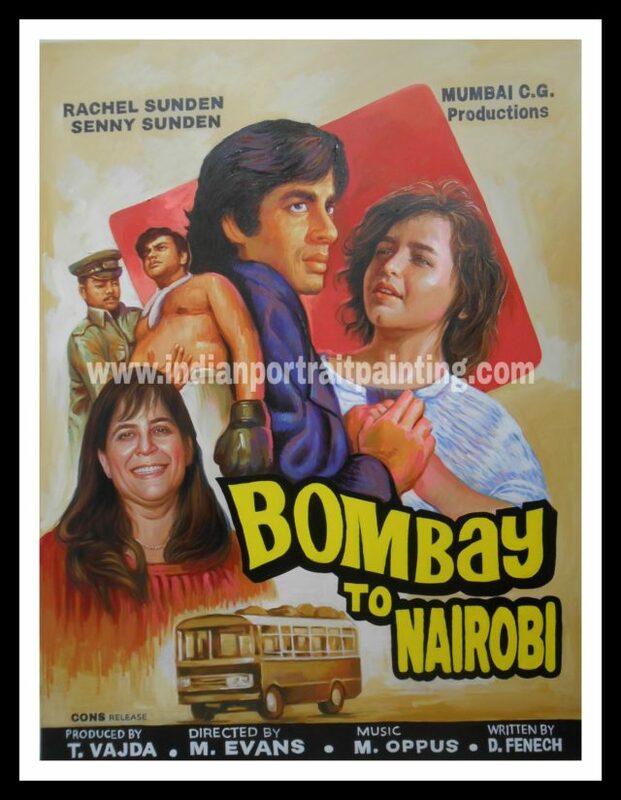 Don’t need to go here and there, just sit at home and order online at Bollywood posters studio. You just need to select your favorite movie and send it along with your hd photos at our email id : bollywoodpostersstudio@gmail.com . Or can contact us on : +919022034923. And we will design your very own customized family portrait into bollywood poster based on the same for your party decoration. Celebrate the joy of togetherness by commissioning a hand painted Customized poster with family as Welcome banners in bollywood theme party that will serve as a lifetime keepsake in your family. A fun experience for all your family members, your very own Customized posters for family in bollywood style will preserve your joyous memories forever.